Been traveling the world for 8 months now, I love the way life keeps reminding me about the simplicity of life that we often forget as we’re too busy making a living. From appreciating the little things to stay humble, from counting your blessings to trusting the universe, the importance of taking a break and creating the life I love, chasing my dreams as usual while constantly making a progress. To be honest I never really take progress as something serious until recently I decided to see how far I can go with my creativity as a photographer and travel writer. I want to take photos and write better, with goals to see my articles published on the magazines and share the useful info with the readers..maybe NatGeo or CondeNast Traveler one day, who knows ? As a newbie, it’s difficult. I could find a million reasons why it won’t work, but instead I take small chances everyday, just one step at a time. I need to fight hard for what I believe in, practice patience and being positive as there are no shortcuts to any place worth going. I may not be there yet, but I'm closer than where I was yesterday. Progress, even a tiny one still count as a progress, some will work, some won’t. It might be slow but in order to achieve anything new, you have to be committed to making progress, it will open up a world of possibilities and inspires you to imagine what else may be possible. As if it was a little kid learn how to ride a bicycle for the first time, learn how to balance herself, maybe she would fall couple of times but she enjoyed the learning process and once again it knocks me hard that I need to be present enough to enjoy my journey. No rush, when the time is right, it will happen. What progress have you made lately on your life goals ? 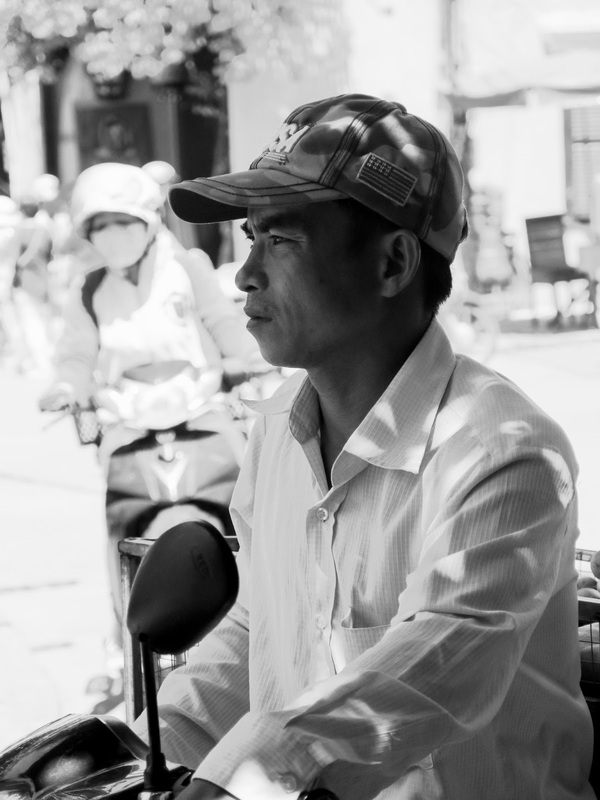 I'd like to share couple of photos I took when I was in Hoi An just few weeks ago, just another little progress always worth to celebrate...from me to you. Hoi An is located in Vietnam's central Quang Nam Province. A perfect marriage between Vietnamese and foreign cultures create a multicultural atmosphere you can find on the architectural style of the buildings, monuments, temples and bridges as you start the explore the city - making the tourists like going back to the 15th century with a time machine to explore the beauty of the town with a population of 120,000 people. 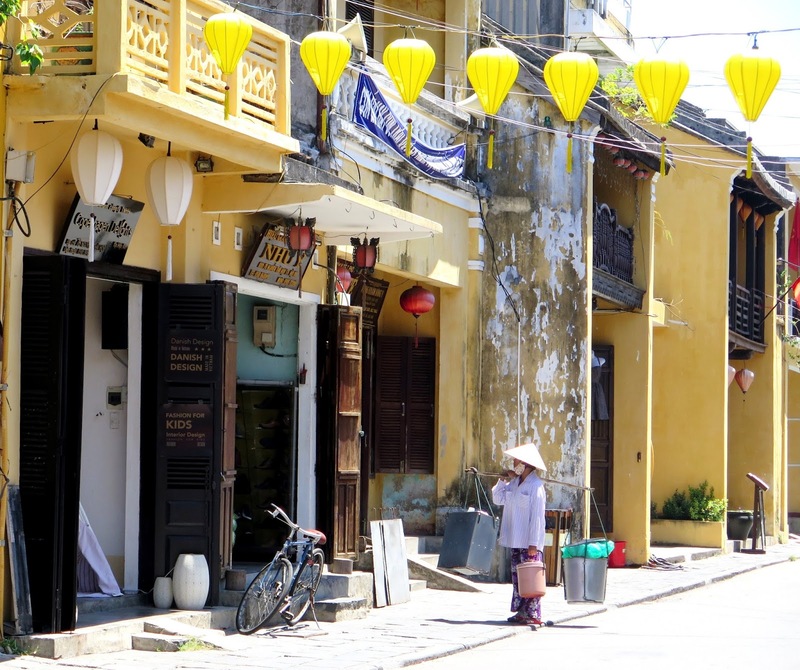 The whole combination of history, architecture, culture and culinary perhaps what makes Hoi An looks attractive - especially if you love photography or art then this place is definitely a photographer's ( or instagrammer's ) paradise. You know just like a little girl incredibly happy lost in dreamland, I could spend hours admiring Hoi An Ancient Town. Day and night, never gets old. I love every little details, colors, and ooh those pretty lanterns I saw on the little alleys and local shop, with one or two coffee break in between, I found myself enjoying the present simply being there, creating new story through my photography while watching tourists walked in and out the shops as they tried to bargain the price for custom tailored suits, continued with people-watching while wondering what was on people mind. With golden light dancing around the canal at sunset, Hoi An has stolen my heart from the first day I arrived and I know I have to come back soon to pick it up again.